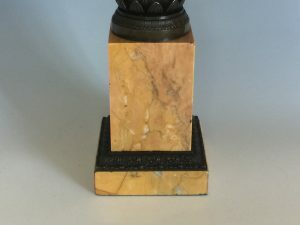 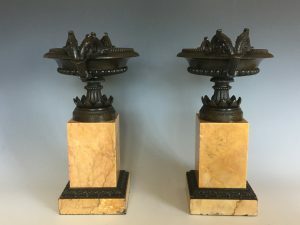 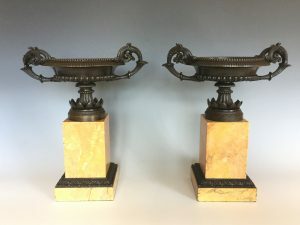 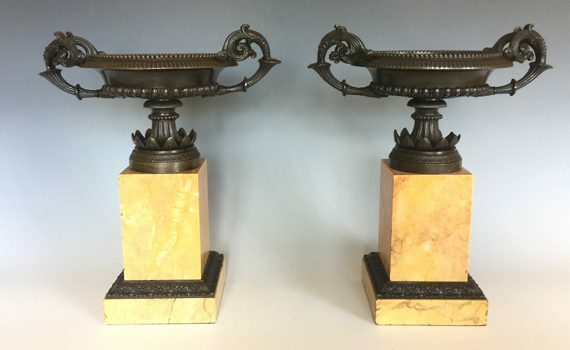 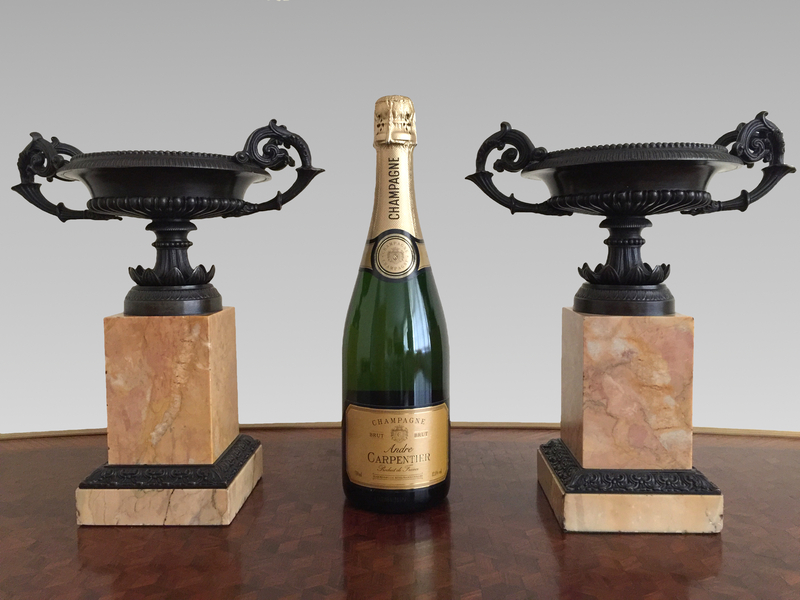 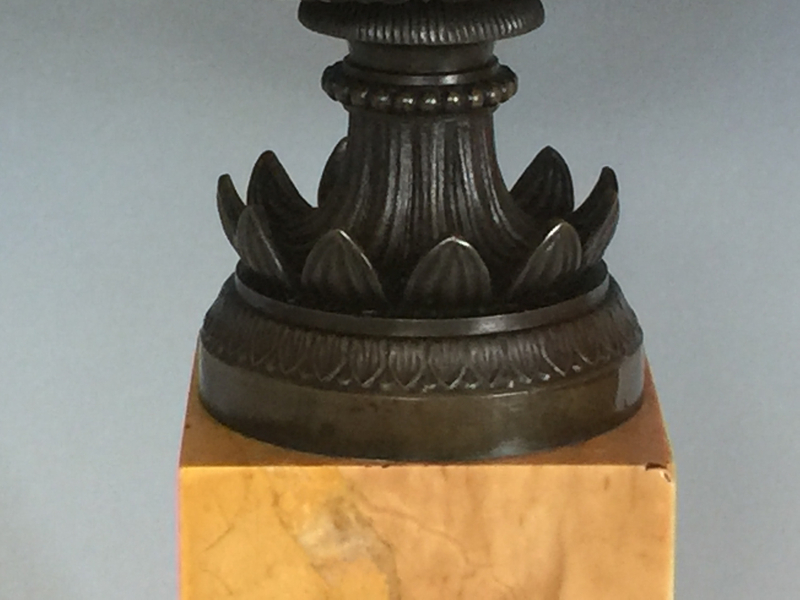 A pair of, French, Charles X period patinated bronze tazzas standing on sienna marble plinths. 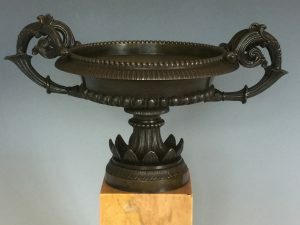 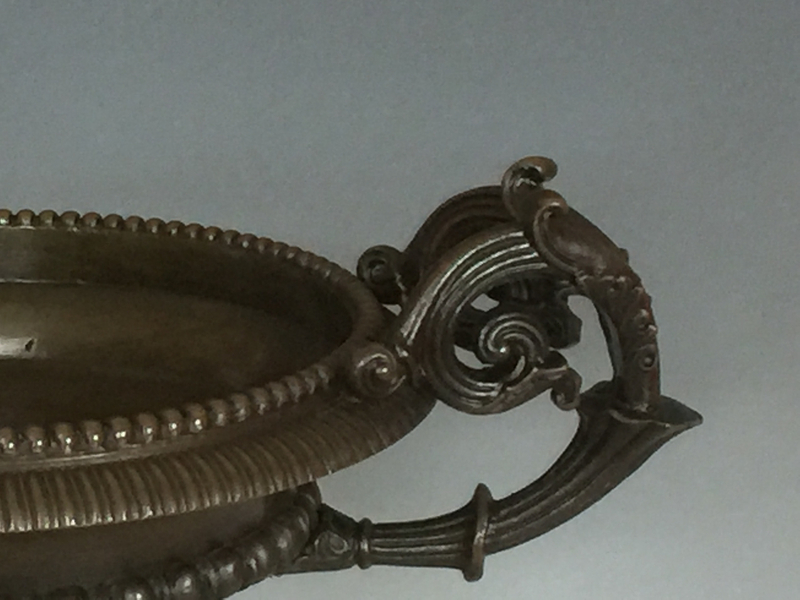 The circular dish tops with beaded rims flanked by entwined scroll handles, above waterleaf flared socles supported by stepped square marble plinth bases with a cast bronze rim. 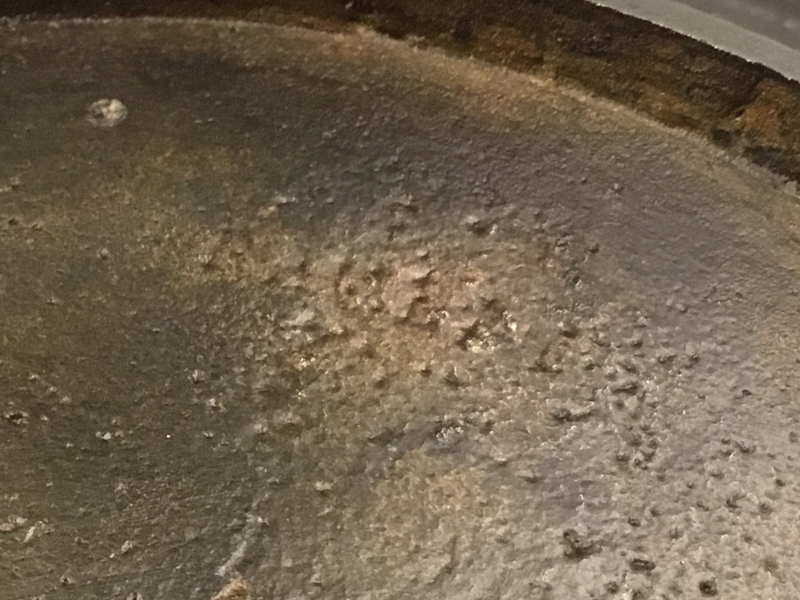 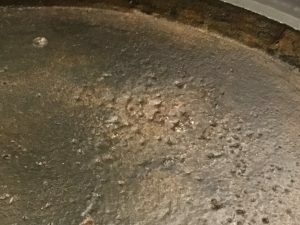 Underside indistinctly stamped ‘RAULERE’?